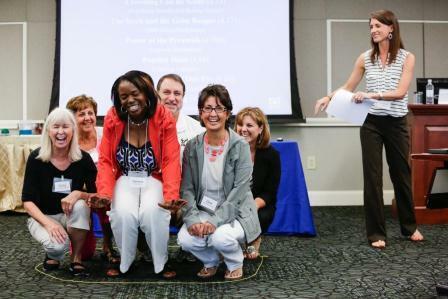 Every year, Population Education hosts two Leadership Institutes – facilitator training events to provide further preparation for our new teacher trainers. During the event, participants receive thorough training on presenting PopEd lessons to fellow educators and the PopEd workshop format, and meet others who are committed to Population Education. A two-day event is held each summer and a one-day event is held each fall. The 2019 fall Leadership Institute will be held on September 28, 2019 in Aurora, Colorado and is open to new and prospective trainers in the Rocky Mountain region. Leadership Institutes are essentially free of charge; we cover the cost of accommodations as well as most meals and travel expenses. Applications are currently being accepted. The deadline to apply is June 1, 2019. CLICK HERE to access more information and the application form to participate in the September 2019 Institute in Aurora, CO. The 2019 summer Leadership Institute (July 2019 in Racine, WI) is currently full and we are no longer accepting applications.